The most memorable romance at the Oscars this year might not be Pat and Tiffany's of Silver Linings Playbook or the president and first lady's of Lincoln. In Disney's Paperman, a 1940s-set urban fairy tale nominated for best animated short, a man and woman meet cute on a train into the city and spend the next six minutes on a collision course with each other — thanks to a very persistent paper airplane. Posted on YouTube during the height of Valentine's Day week, the short garnered 13.6 million views — that's after a theatrical run with the popular Wreck-It Ralph — and suddenly made John Kahrs arguably the next big thing in animation. "It's been really gratifying," says Kahrs, 45. "I'm just trying to get through this week with my head screwed on straight and make sure I can tie a bow tie, I guess." 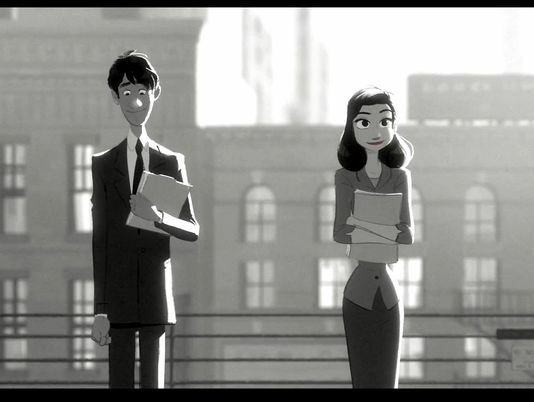 Having notes for an acceptance speech might help, too, as Paperman could be one of the few locks at this year's awards. It's already a favorite to win its category because of its beautiful story that moves children on one level and adults on another, says The Hollywood Reporter awards blogger Scott Feinberg. "It's almost in a class of its own." 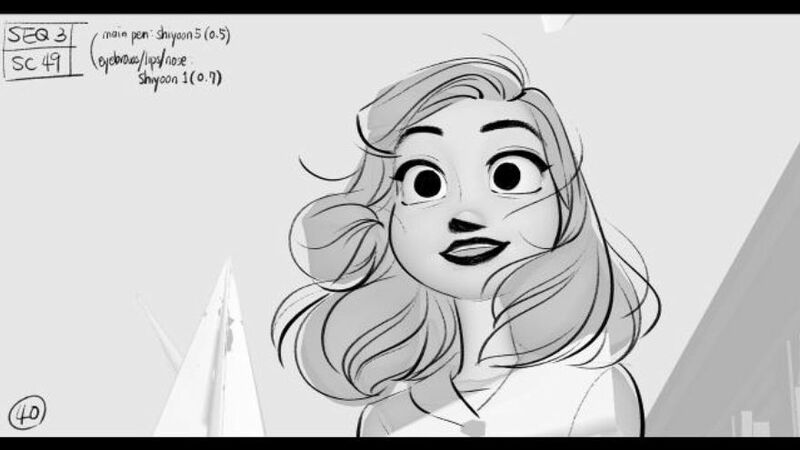 Kahrs used a hybrid of 2-D and 3-D animation techniques for Paperman, taking the hand-drawn line work and having it ride and move on top of the flat space of the screen. His goal was to take the animation that was a big part of the Disney legacy and do it in a new way for the 21st century. "I had some very silly ideas about how that would happen, but some brilliant engineers and software designers at Disney figured it out." The love story at the heart of Paperman traces back to Kahrs' life as a young animator on his morning commute in Manhattan, feeling very alone but still watching the random connections between strangers with just a single moment of eye contact. "Hopefully the look is just one of the things that pulls you in," says Kahrs, who was an animation supervisor for Disney's Tangled and an animator on Pixar's A Bug's Life,The Incredibles and Monsters, Inc.
"There must be something universal about the desire for everyone to find the right person for them and feel a connection to someone and make a connection and hang on to it," Kahrs says.